Nangzhig Monastery’s formal name is Nangzhig Gyaltsen Puntsok Ling, Marvelous Land of the Buddha’s Teachings which Destroy Appearances. 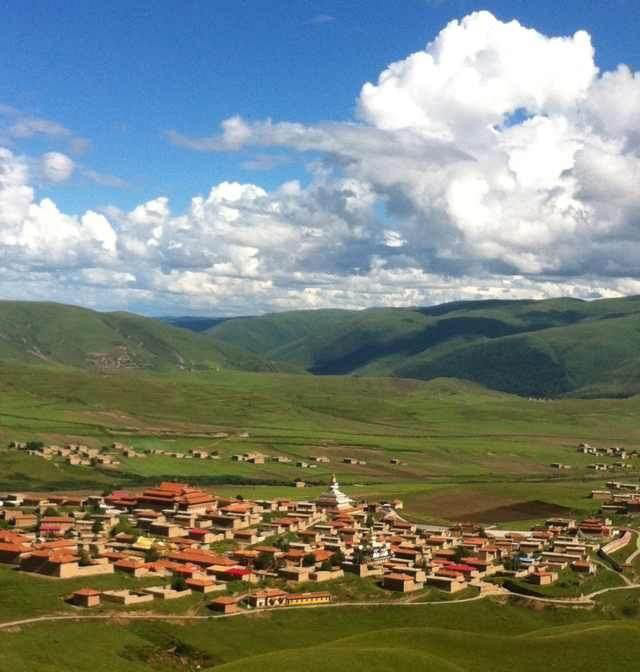 It is also known as Nangzhig Tashi Yungdrung Ling, Land of the Auspicious Yungdrung which Destroys Appearances. 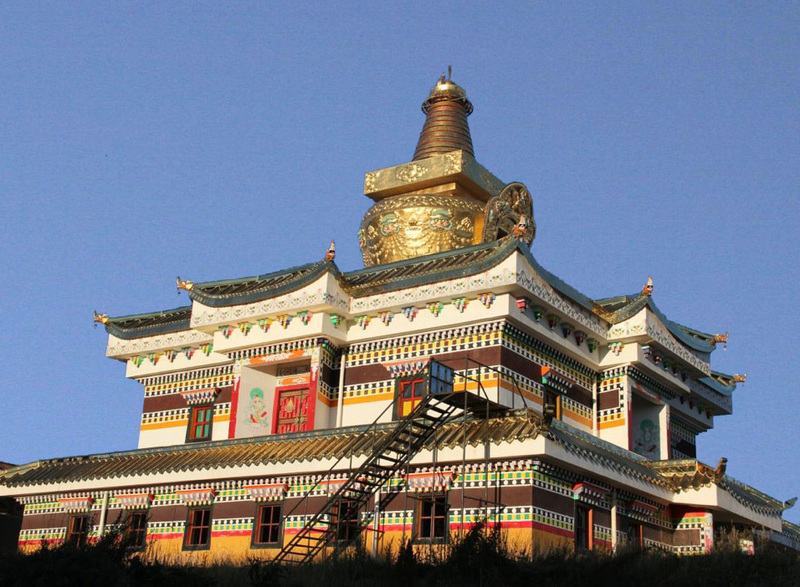 It is located in the Amdo Ngawa region and is the largest Yungdrung Bön monastery in Tibet. The monastery was founded by Yönten Gyaltsen in 1108. Similar to many other monasteries, Nangzhig Monastery was destroyed during the cultural revolution that began in 1959 and many of its religious articles were hidden away. In 1980 when the People’s Republic of China began to allow more religious practice, reconstruction and reinstallment of religious artifacts was organized by Gya ‘Ob Tenzin Wangyal Rinpoche. The monastery complex is quite extensive and includes multiple temples, multiple dormitories for monks and living quarters for senior lamas, and three large chortens among other structures. During large festivals, the monastery has the capacity to house two thousand monks. Nangzhig Monastery has both a dialectic college and a meditation college. There are approximately a thousand monks living there and more than two hundred new students arrive each year. Being a major center for learning and educational exchange in Tibet, the monastery has multiple copies of the Bön canon and over two thousand blocks for printing the texts. Monks attending the dialectic college must attend classes and debate every day except Sunday and during retreats. 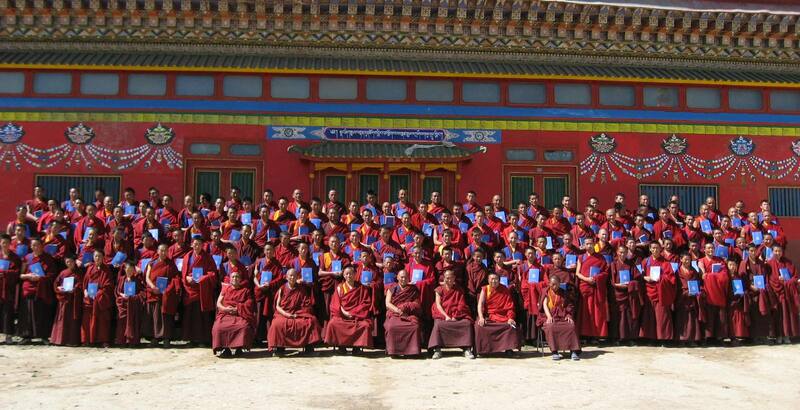 Once the students of the dialectic college have completed ten years of study and successfully passed their final examinations, they receive the degree of Geshe, which is similar to a doctorate of philosophy and religion. Monks attending the meditation college must complete a three year retreat based upon the A Tri teachings. Posted on March 16, 2014, in Pilgrimage, Uncategorized, Yungdrung Bon Monasteries and tagged monastery, monks, pilgrimage, tibet, Yungdrung Bon monastery. Bookmark the permalink. Leave a comment.